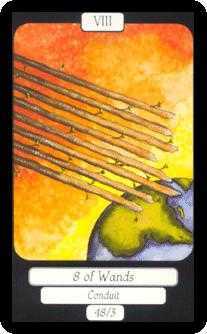 Accelerating growth challenges you to keep up with what you are creating in your life. 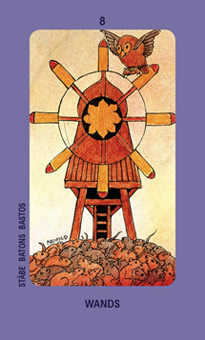 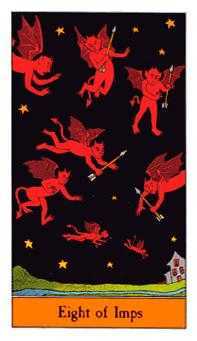 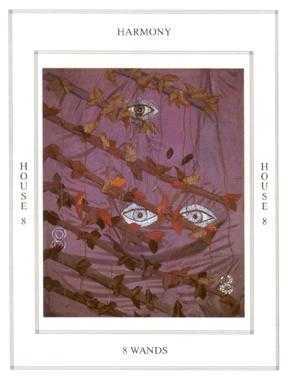 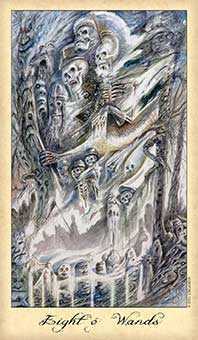 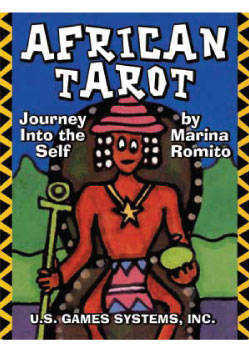 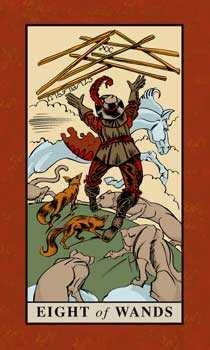 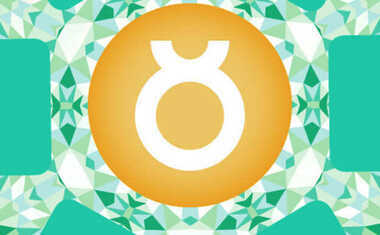 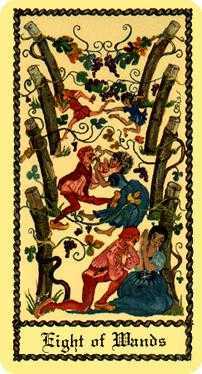 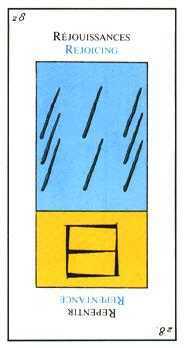 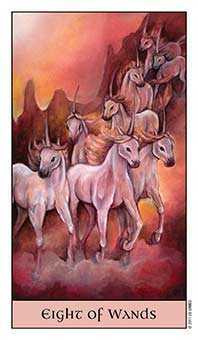 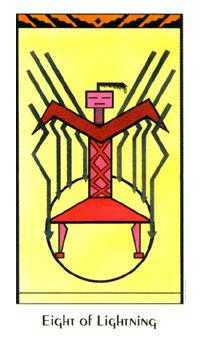 African Tarot deck © U.S. Games Systems, Inc. 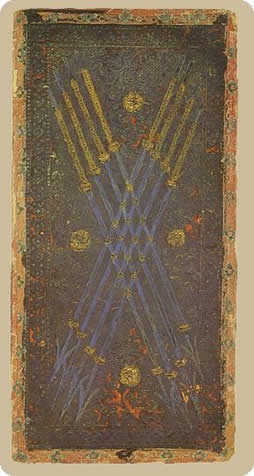 The Eight of this suit often shows a flight of spears or staffs moving through the air in formation, as if a hidden group of archers had let them fly all at once. 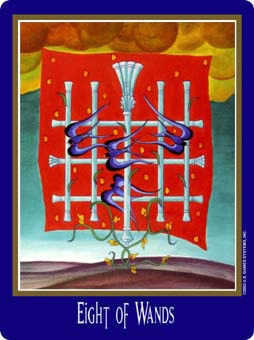 This can refer to swiftly unfolding events, whether of unintentional or intentional design. 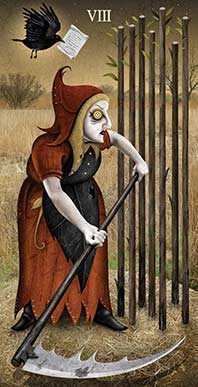 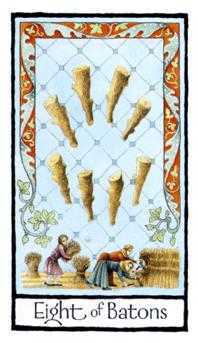 There are also versions that emphasize the agricultural cycle, paralleling the yearly crop cycle with the swift growth of children into adults with children of their own. 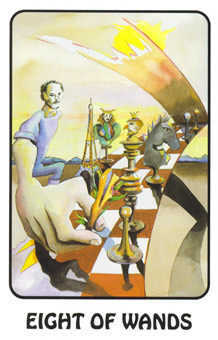 In each case, the emphasis is on the necessity of change and the challenge of keeping up with it. 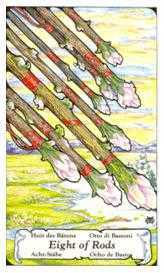 With the turning of the seasons, we are constantly being forced to deal with change and there is no remedy but to live with that in mind. 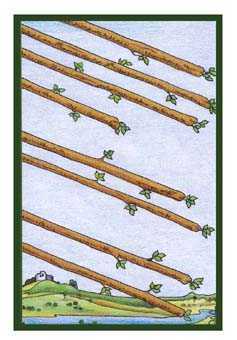 So, get busy -- there is no time to waste! 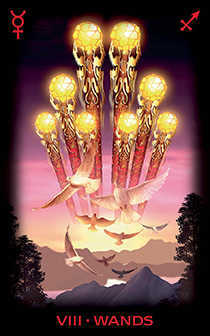 Recent successes provide confidence to accomplish more. 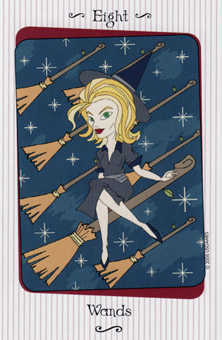 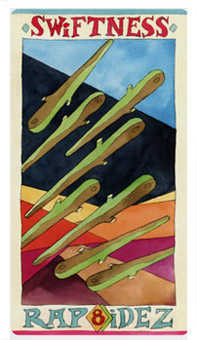 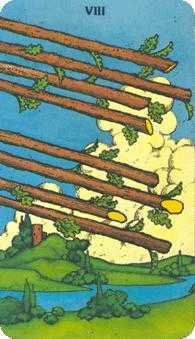 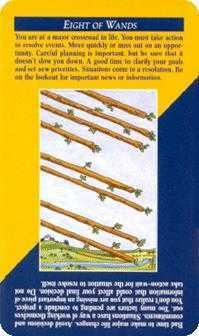 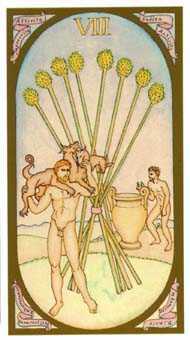 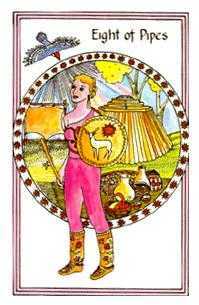 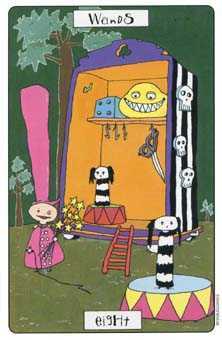 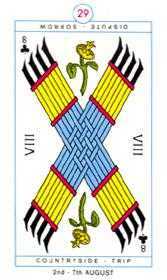 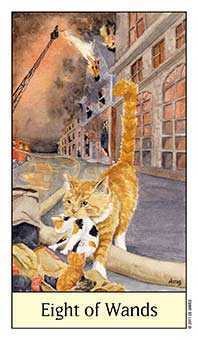 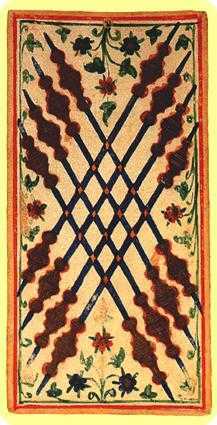 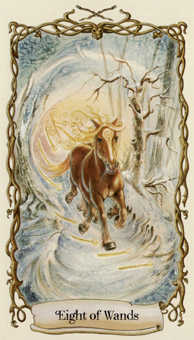 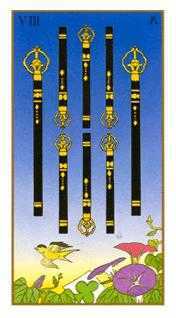 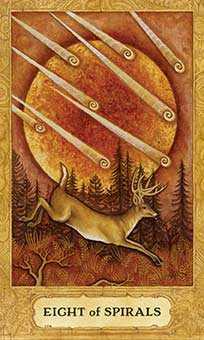 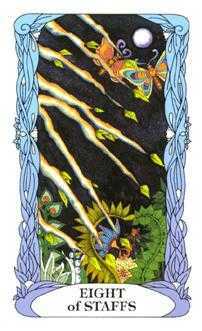 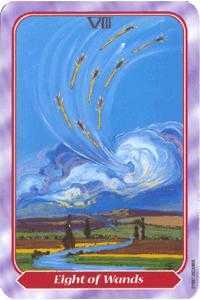 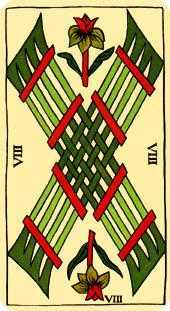 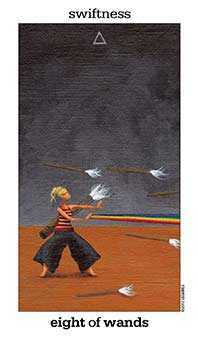 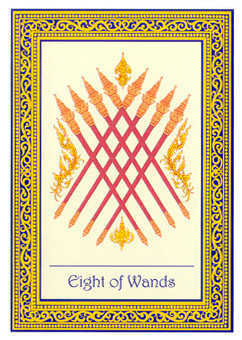 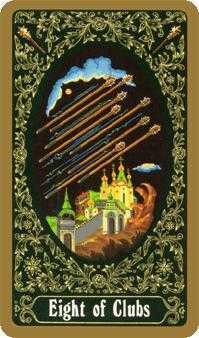 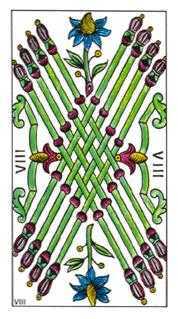 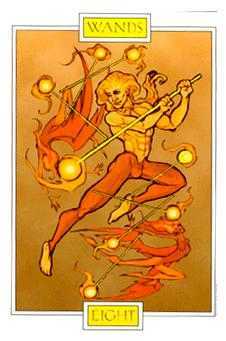 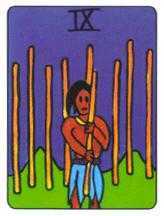 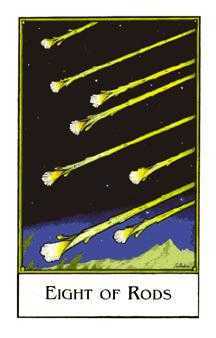 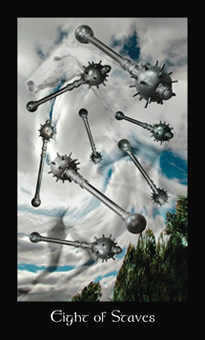 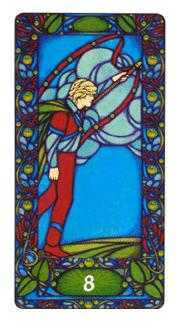 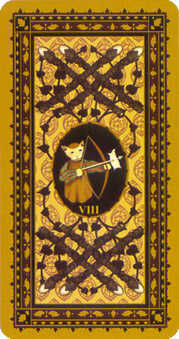 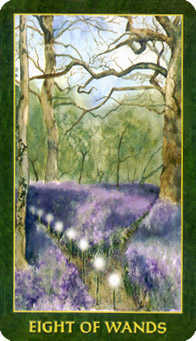 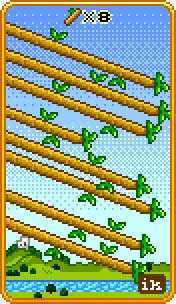 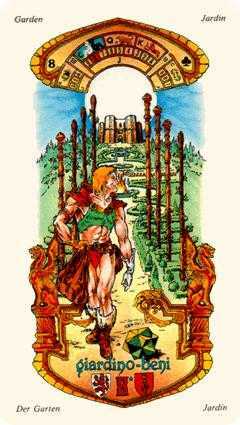 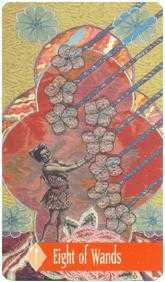 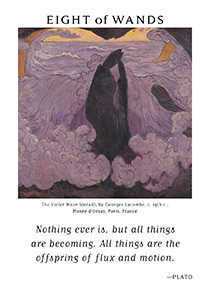 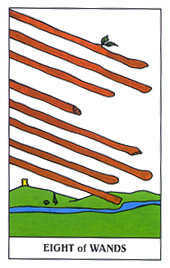 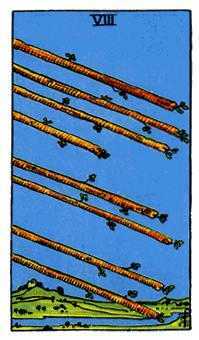 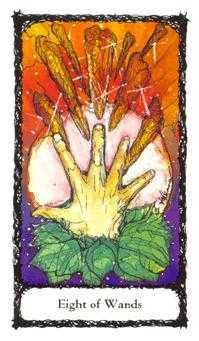 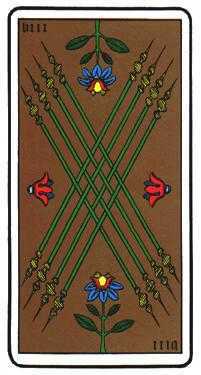 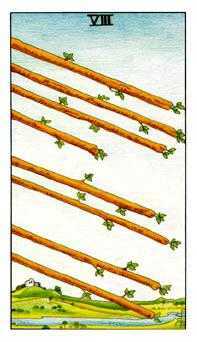 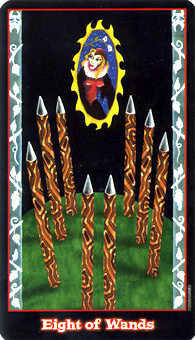 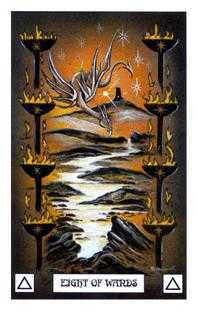 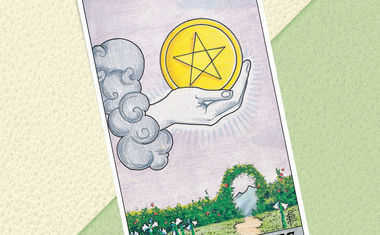 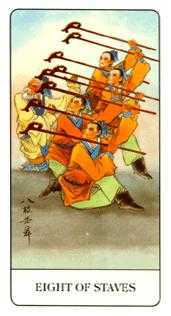 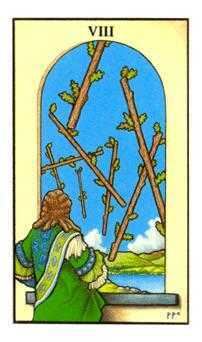 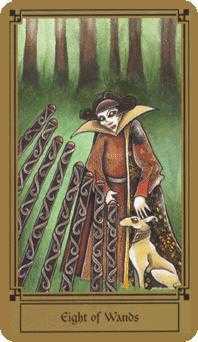 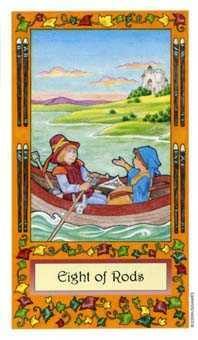 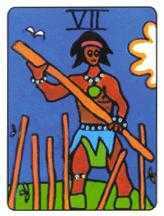 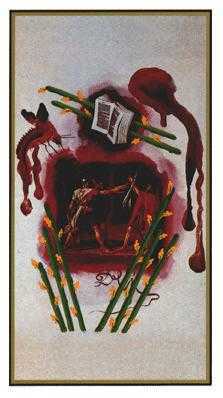 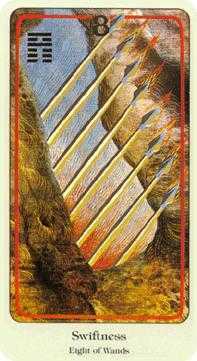 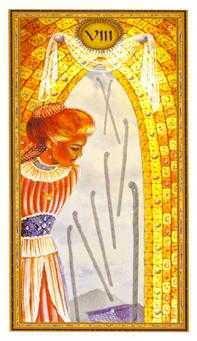 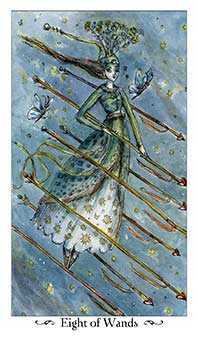 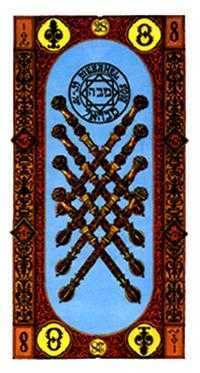 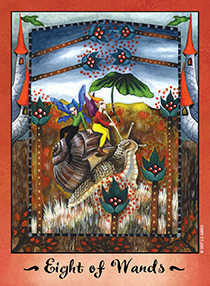 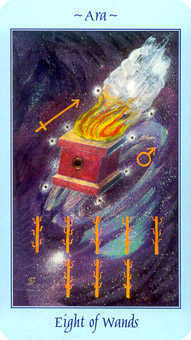 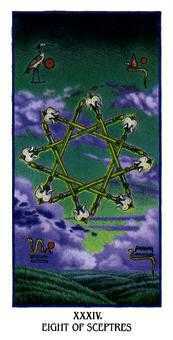 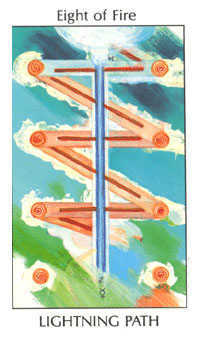 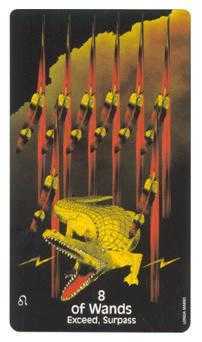 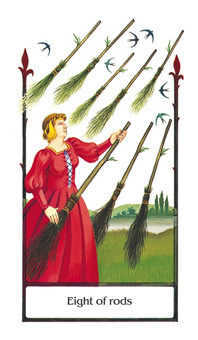 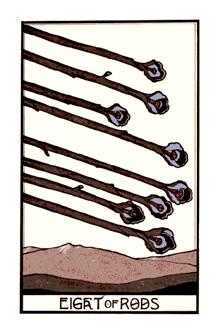 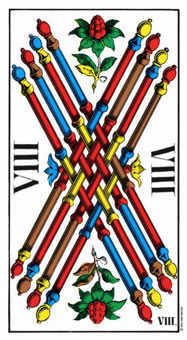 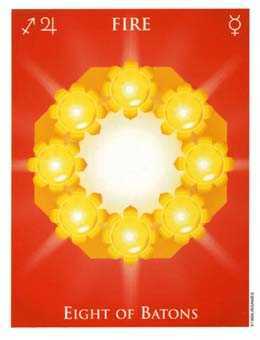 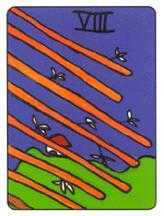 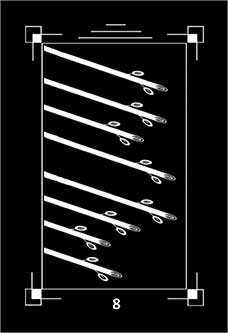 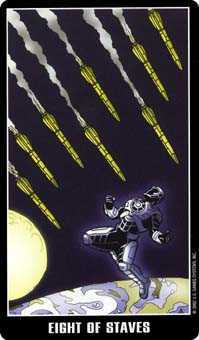 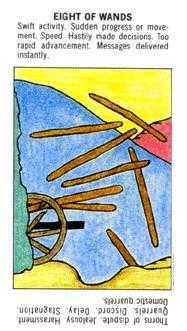 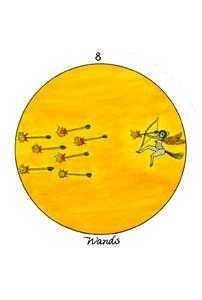 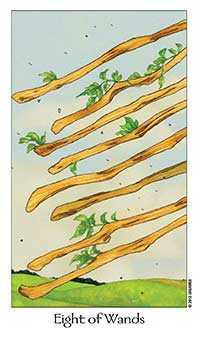 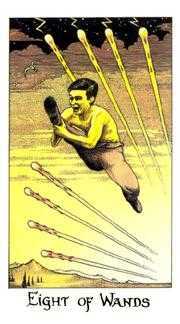 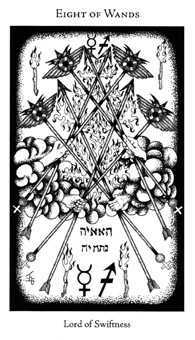 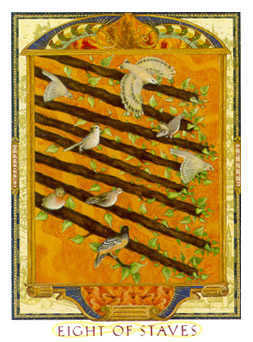 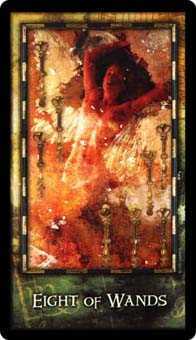 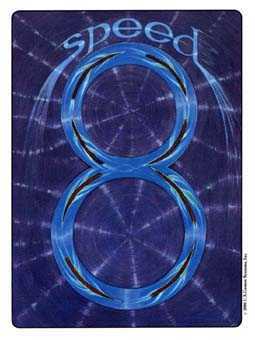 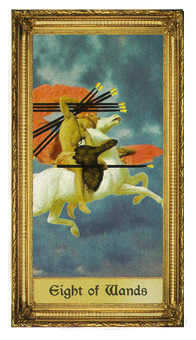 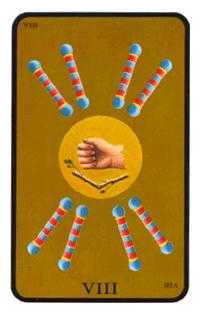 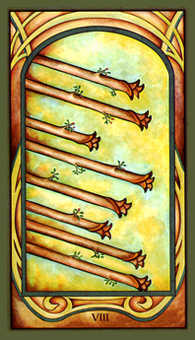 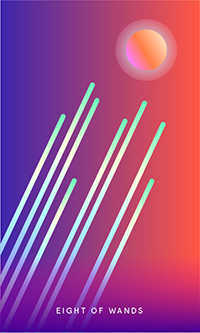 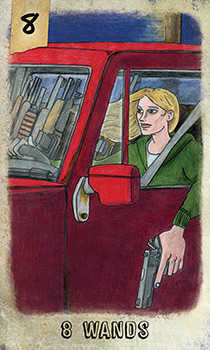 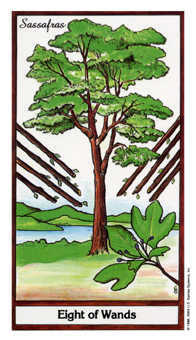 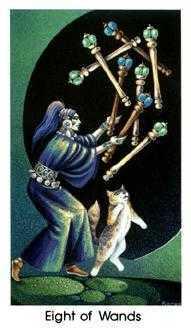 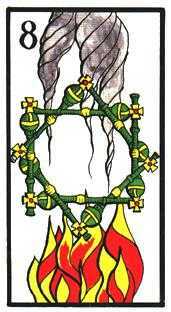 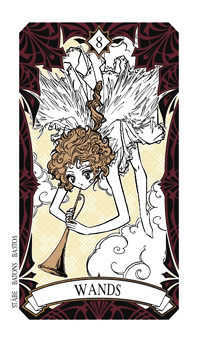 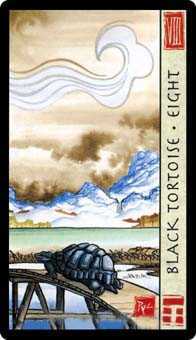 With the Eight of Wands in this position, learn all you can from recent successful experiences. 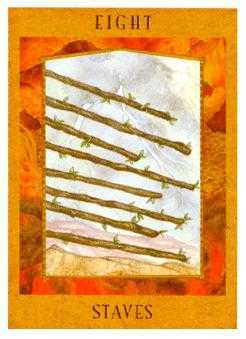 Take note of what worked before and what did not. 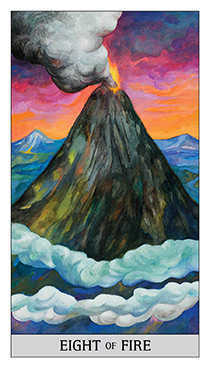 You possess awareness as to how to effectively apply your imagination to shape the world in productive and aesthetic ways. 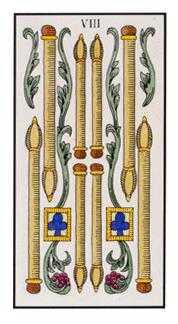 Thus, the testament to your talents may be revealed for everyone to see and admire. 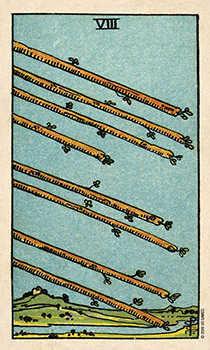 Even if you had to leave it all behind, you know you could start all over among total strangers and succeed once again. 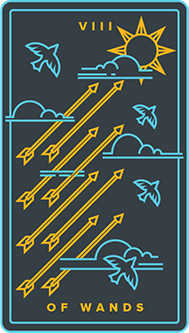 This valuable self-confidence makes you free to strike out in new directions and not just cling to past successes and previous accomplishments.